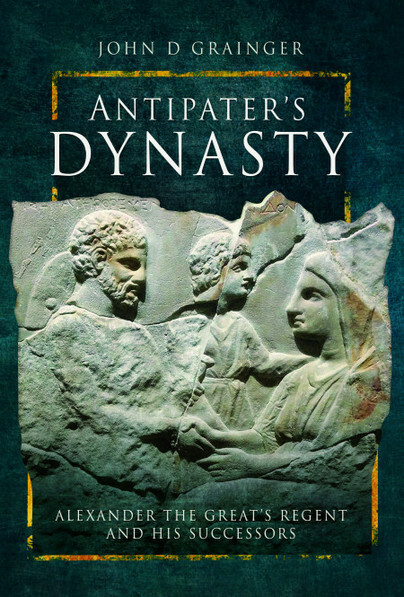 You'll be £15.00 closer to your next £10.00 credit when you purchase Antipater's Dynasty. What's this? Antipater was a key figure in the rise of Macedon under Philip II and instrumental in the succession of Alexander III (the Great). Alexander entrusted Antipater with ruling Macedon in his long absence and he defeated the Spartans in 331 BC. After Alexander’s death he crushed a Greek uprising and became regent of the co-kings, Alexander’s mentally impaired half-brother (Philip III Arrhideus) and infant son (Alexander IV). He brokered a settlement between the contending Successors but died in 319 BC, having first appointed Polyperchon to succeed as regent in preference to his own sons. Antipater’s eldest son Cassander later became regent of Macedon but eventually had Alexander IV killed and made himself king. Three of his sons in turn briefly succeeded him but could not retain the throne. Antipater’s female heirs are shown to be just as important, both as pawns and surprisingly independent players in this Macedonian game of thrones. The saga ends with the failed bid by Nikaia, the widow of Antipater’s great grandson Alexander of Corinth, to become independent ruler of Macedon. John D Grainger, a former teacher, is a well-established historian with around 20 previous works across various periods.